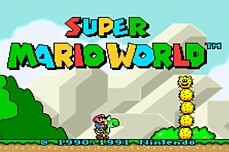 Super Mario Crossover features the world of Super Mario but with a variety of characters. The cool part is that each character has their very own set of attacks. Try out each one to see who you like the best.